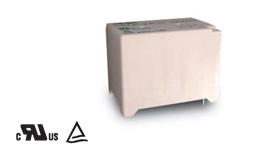 Between open contact : AC 2500V, 50/60Hz 1 min. Between contact and coil : AC 2500V, 50/60Hz 1 min. *Note：(1) Initial value. Operate and release time excluding contact bounce. 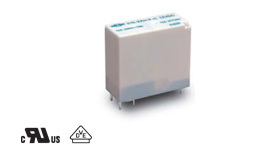 High duty sugar cube relay with 8A 60VDC. Contact gap can be greater than 1.8mm. High performance PCB power relay for photovoltaic power generation systems (solar inverter), motor control, compressor control, home appliances. Also for micro inverter application. Between open contact : AC 750V, 50/60Hz 1 min. Between contact and coil : AC 750V, 50/60Hz 1 min. Contact gap can be greater than 1.5mm. 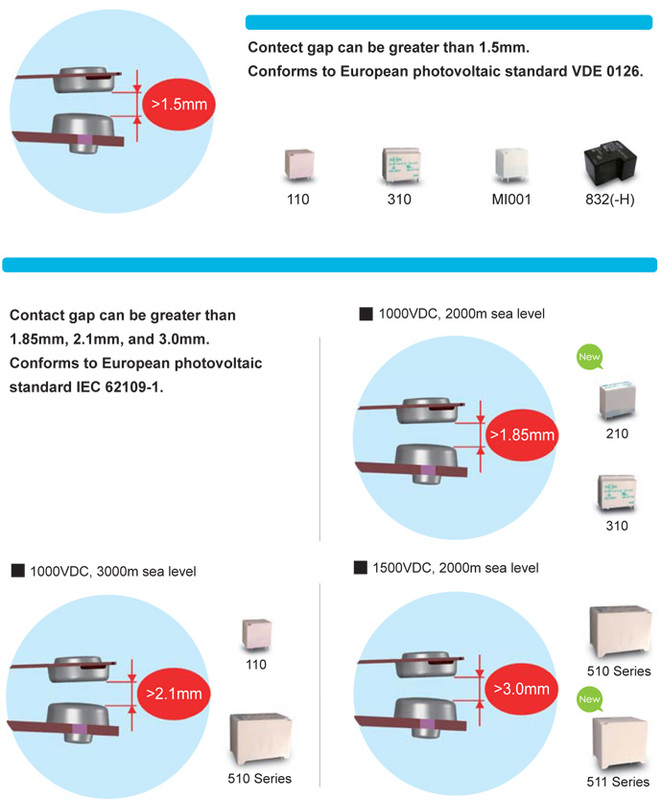 Conforms to European photovoltaic standard VDE 0126. 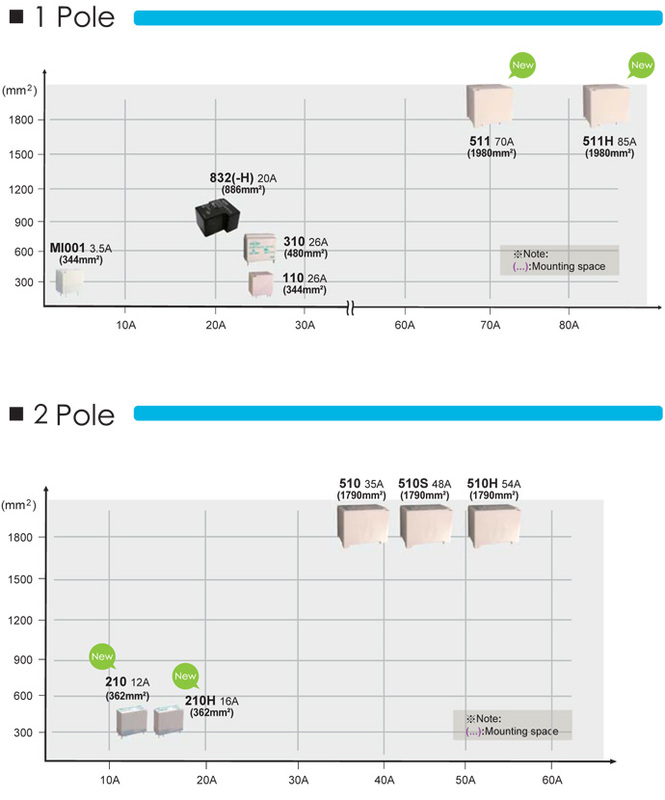 Coil holding voltage can be reduced to 50%V of the nominal coil voltage for saving energy. 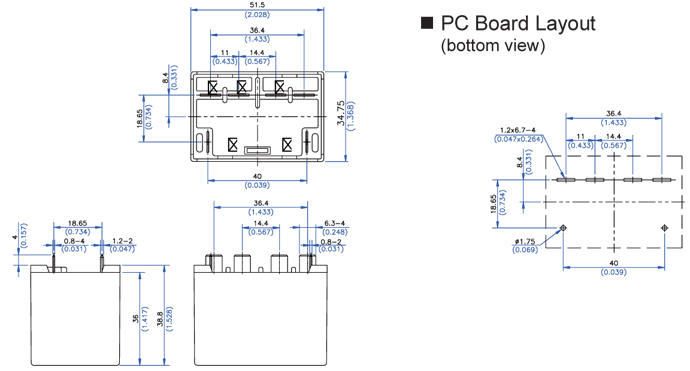 High performance PCB power relay for photovoltaic power generation systems (solar inverter). 3.5A 240VAC T100 ; ON 1s /OFF 9s ; 30,000 ops. 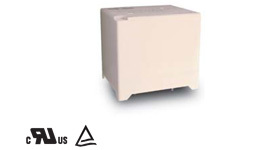 Between open contact : AC 1000V, 50/60Hz 1 min. 12A miniature PCB Power Relay. Contact gap can be greater than 1.85mm. 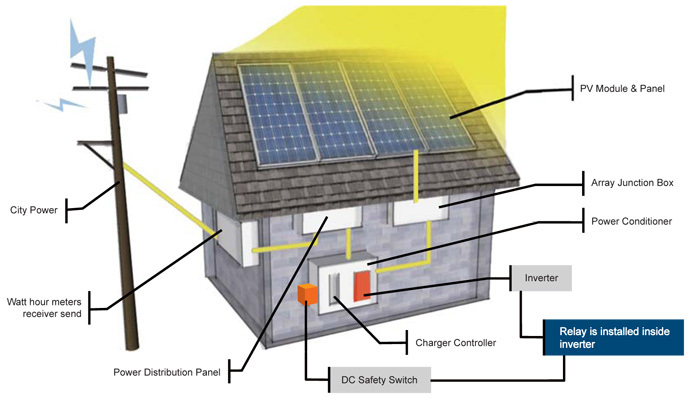 Conforms to European photovoltaic standard IEC 62109-1. Coil holding can be reduced to 45~60% V of the nominal coil voltage for saving energy. 12A 250VAC T85 ; ON 1s /OFF 9s ; 30,000 ops. 12A 250VAC cosψ0.8 T85 ; ON 0.1s /OFF 10s ; 30,000 ops. 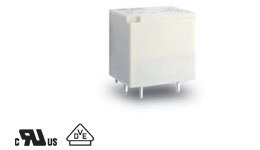 Between open contact : AC 1500V, 50/60Hz 1 min. Between contact and coil : AC 5000V, 50/60Hz 1 min. Between contact circuits : AC 2500V, 50/60Hz 1 min. 14A/16A miniature PCB Power Relay. Coil holding can be reduced to 45~55% V of the nominal coil voltage for saving energy. 14A 250VAC T85 ; ON 1s /OFF 9s ; 30,000 ops. 16A 250VAC T75 ; ON 1s /OFF 9s ; 30,000 ops. 14A 250VAC cosφ0.8 T85 ; ON 0.1s /OFF 10s ; 30,000 ops. 16A 250VAC cosφ0.8 T75 ; ON 0.1s /OFF 10s ; 30,000 ops. 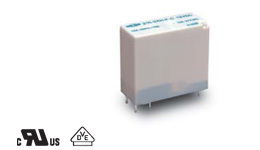 High duty sugar cube relay with 20A 240VAC. Contact gap can be greater than 1.9mm. 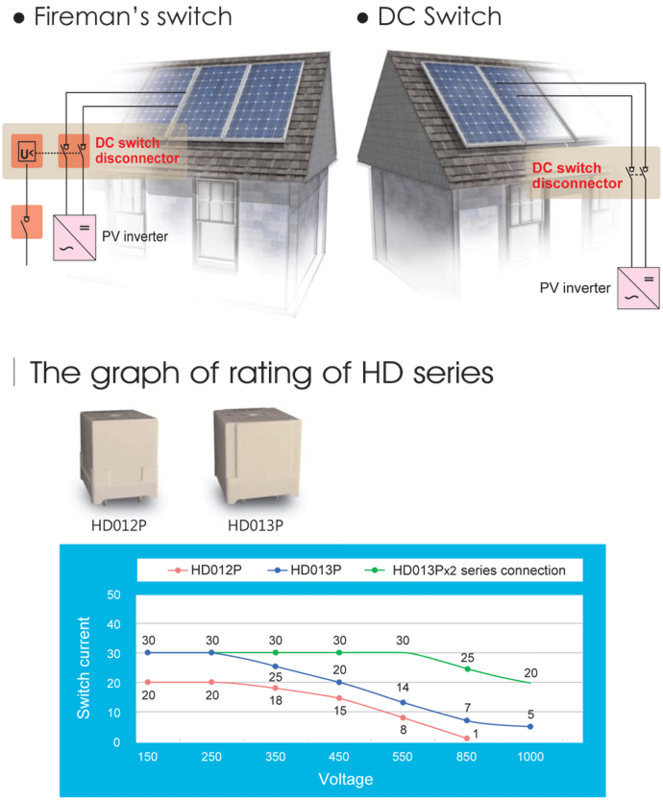 High performance PCB power relay for photovoltaic power generation systems (solar inverter), HVAC,UPS & power supply, home appliances. Between contact and coil : AC 4000V, 50/60Hz 1 min. 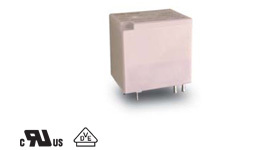 High duty sugar cube relay with 26A 277VAC. Contact gap can be greater than 1.5mm & 2.1mm. Coil holding voltage can be reduced to 55%V of the nominal coil voltage for saving energy. 26A 240VAC T75 ; ON 1s /OFF 9s ; 30,000 ops. 22A 240VAC T85 ; ON 1s /OFF 9s ; 30,000 ops. 26A 240VAC T85 ; ON 1s /OFF 9s ; 30,000 ops. 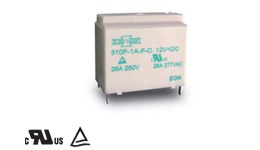 26A 240VAC T85 AC-7a, cosΦ0.8 ; ON 0.1s / OFF 10s ; 30,000 ops. 1.5mm Min. / 2.1mm Min. High duty relay with 26A 277VAC. Contact gap can be greater than 1.5mm & 1.85 mm. Coil holding voltage can be reduced to 50~55% V of the nominal coil voltage for saving energy. 1.5mm Min. / 1.85mm Min. Between open contact : AC 2000V, 50/60Hz 1 min. Between contact and coil : AC 4500V, 50/60Hz 1 min. Heavy duty 32~60A 277VAC power type. DPDM contact configuration with large contact gap 2.1mm & 3.0mm version. Coil holding voltage can be reduced to 50~55%V of the nominal coil voltage for saving energy. 510　: 35A 240VAC T85 ; ON 1s /OFF 9s ; 20,000 ops. 510S : 48A 240VAC T85 ; ON 1s /OFF 9s ; 10,000 ops. 510H : 54A 240VAC T85 ; ON 1s /OFF 9s ; 10,000 ops. 2.1mm Min. / 3.0mm Min. Between contact circuits : AC 2000V, 50/60Hz 1 min. 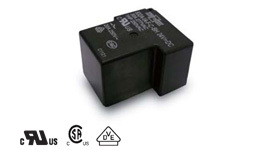 Heavy duty 70/85A 277VAC power type. SPDM contact configuration with large contact gap 3.0mm version. 511 : 70A 240VAC T85 ; ON 1s /OFF 9s ; 10,000 ops. 511H : 85A 240VAC T85 ; ON 1s /OFF 9s ; 10,000 ops. Copyright© Forward All Rights Reserved.